All Daniel homes currently listed for sale in Daniel as of 04/25/2019 are shown below. You can change the search criteria at any time by pressing the 'Change Search' button below. If you have any questions or you would like more information about any Daniel homes for sale or other Daniel real estate, please contact us and one of our knowledgeable Daniel REALTORS® would be pleased to assist you. 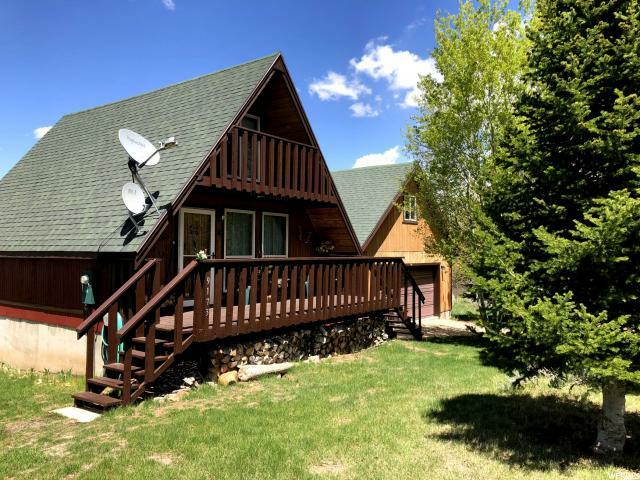 "Beautifully updated cabin in one of the nicest areas around Strawberry Reservoir! Gorgeous views, beautiful kitchen, well laid out plan and room to park up to four vehicles in garage! Year round recreation with incredible fishing in the summer and ice fishing and unbeatable snowmobiling in the winter! Beautiful landscaping with automatic sprinklers, incredible views of the lake and mountains. Gourmet kitchen with cooktop and double ovens. Community has shared culinary and sewer. Propane gas heat and wood burning fireplace. Two water heaters- one electric and one propane. Take a look at this property today! Furnishing are negotiable. " "It's a dandy of a cabin. Warm, cozy, cuddly, plenty of sunshine, super back yard. No deferred maintenance. Vintage wood stove, forced air furnace, year-round ready. Large garage, in and out doors, loft above for storage and more bunk bed space. Kitchen, living room on main floor, bed, bath and washer/dryer down, bed and bath in upper loft. Annual visitors include buck, Doe and bambi, so have some apples ready, the deer expect them. Furniture negotiable. Winter access is snowmobile or snow cat from Hwy 40 to cabin."